Rockefeller Archive Center Research Reports are created by recipients of research travel stipends and by many others who have conducted research at the RAC. The reports demonstrate the breadth of the RAC's archival holdings, particularly in the study of philanthropy and its effects. For more information about the Rockefeller Archive Center visit www.rockarch.org. 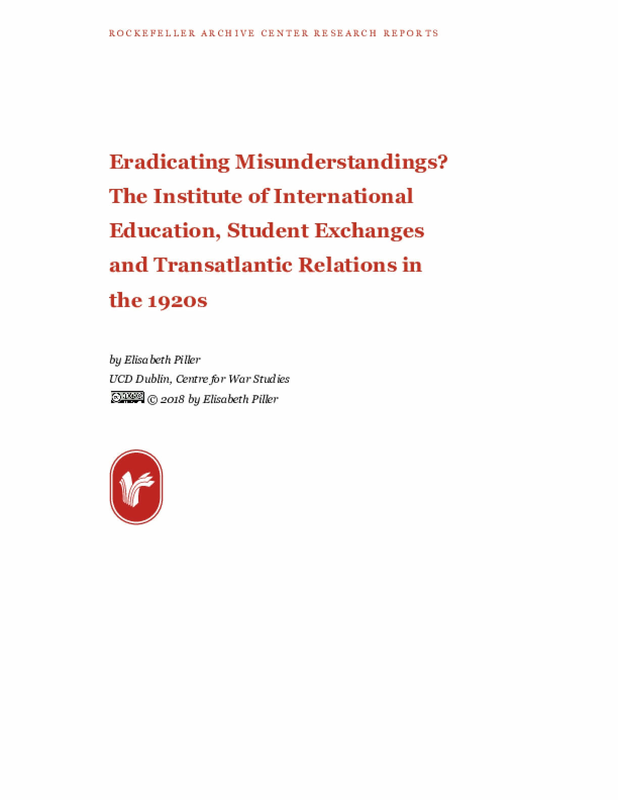 This research report is based on research performed at the Rockefeller Archive Center during January 2019. 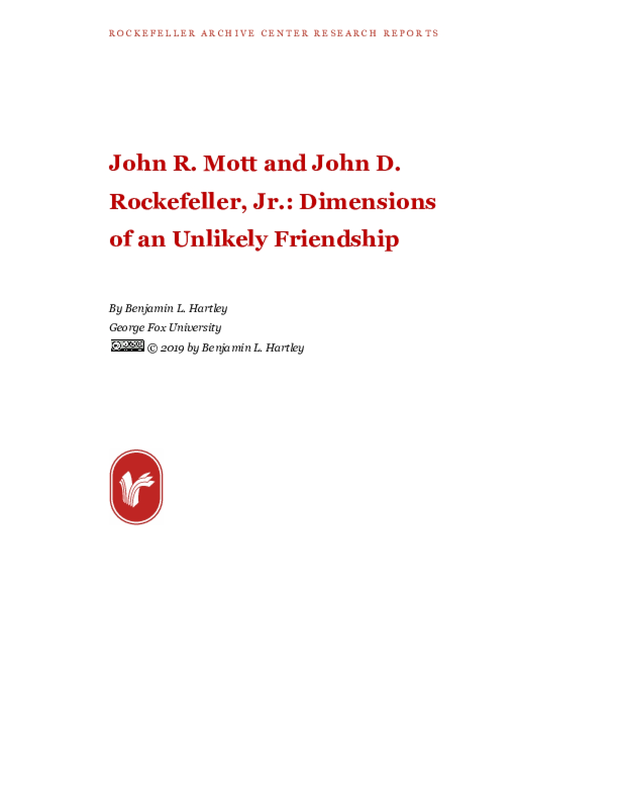 The report explores several dimensions to the friendship and professional relationship of Dr. John R. Mott and John D. Rockefeller, Jr. John R. Mott was a Nobel Peace Prize laureate of 1946 and was one of the most important ecumenical and Christian mission leaders in the first half of the twentieth century. Mott traveled the world to establish student Christian associations in many different countries, and also served in diplomatic missions for the Wilson administration. He refused Woodrow Wilson's offer to be the U.S. ambassador to China. 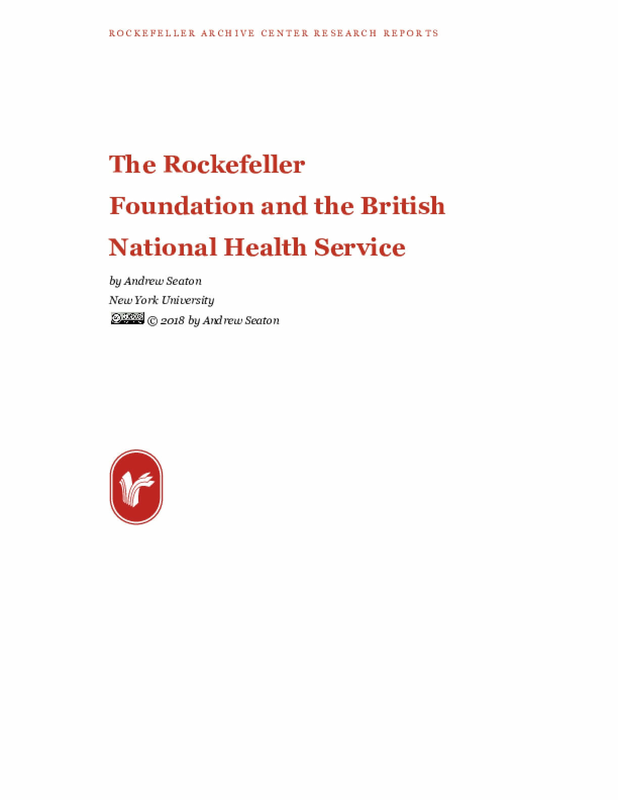 Rockefeller was a financial supporter of Mott and of Mott's projects for over four decades. 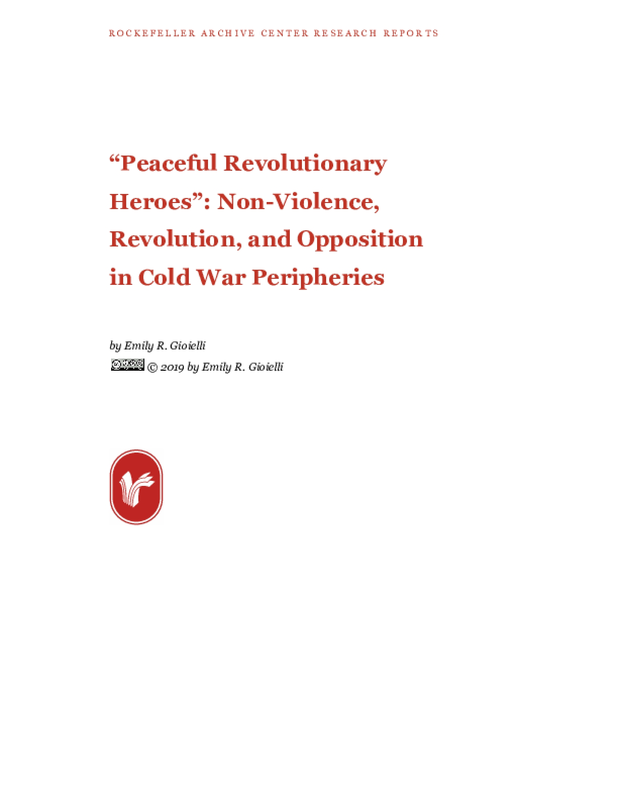 Projects discussed in this paper include aid to soldiers during World War I, the funding of a large survey research project about Christian mission around the world, and support of a Russian Orthodox seminary in Paris after the Bolshevik Revolution. 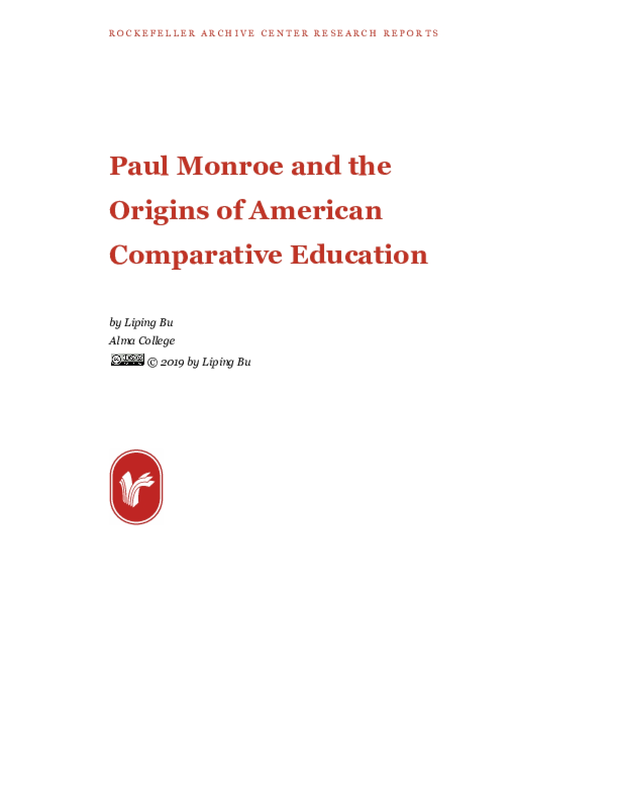 Similarities with regard to theological views of Mott and Rockefeller are also briefly discussed in this report. 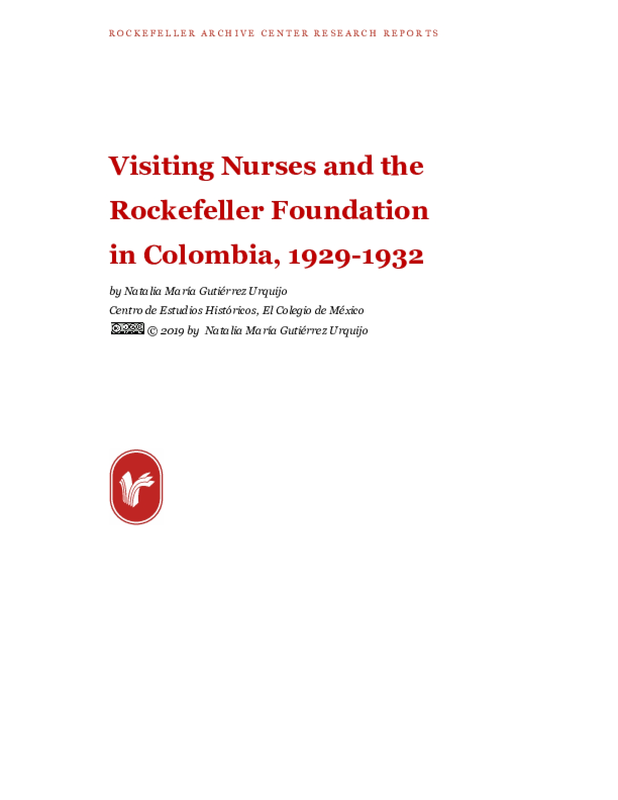 My research at the Rockefeller Archive Center (RAC) investigated the pivotal period from the 1920s to the 1940s when health practitioners and scientists in the Rockefeller Foundation were confident that they could alleviate, and probably eradicate, serious but little understood diseases such as yaws. During these decades, the IHD, and its predecessor before 1927, the International Health Bureau (IHB), embarked upon transferring the Foundation's early successes in public health from the southern United States, notably with hookworm and sanitation campaigns, to overseas. In 1916, the IHB had succeeded the International Health Commission (IHC), founded in 1913. The original mission of the IHC drove the IHB/IHD: the "promotion of public sanitation and the spread of knowledge of scientific medicine." Yaws became an add-on to that mission, although syphilis and its links to yaws in tropical countries never quite assumed the attention Turner demanded. But the diseases are entwined, often confused, and worthy of in-depth investigation. My research at RAC formed part of my wider project on the history of yaws and syphilis, but unlike Turner and Sawyer's principal focus on the Caribbean, I sought to concentrate on the vast Asia-Pacific region. My aim is to tackle this history longitudinally and across cultures to look at changing discourse, theories and practices regarding treatments for these diseases and socio-cultural perceptions, especially in relation to causation, symptoms and consequences. These significant diseases have had a huge global impact but have not been investigated together by historians. The Asia-Pacific region is rarely mentioned in publications on syphilis or yaws. 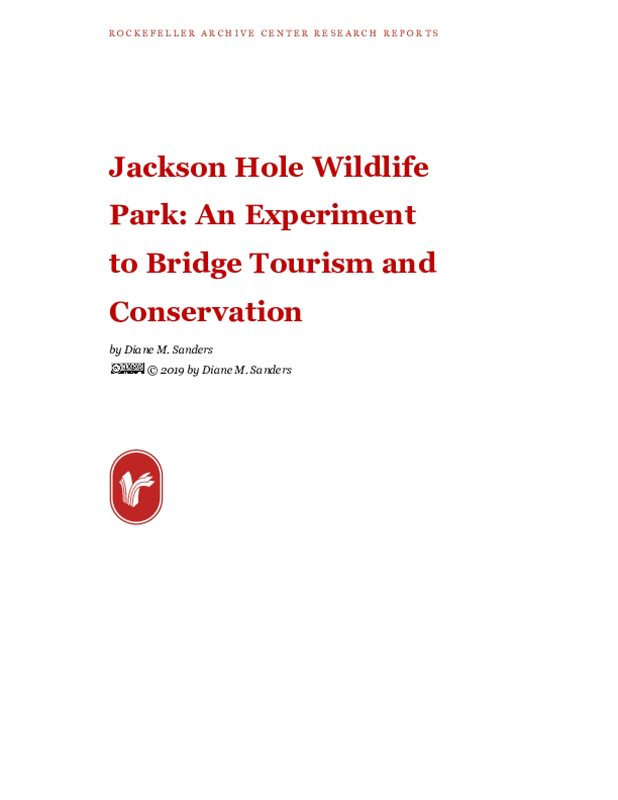 My paper documents the history of the Jackson Hole Wildlife Park, created on Rockefeller-owned lands in northwestern Wyoming shortly after WWII. A collaboration between Laurance Rockefeller, president of Jackson Hole Preserve, Inc., the New York Zoological Society and the State of Wyoming, the park sought to educate the public about the need for conservation by creating a living exhibit of the West's major wild animals - primarily elk, bison, moose, antelope, and a variety of deer species. It was thought that if people could see these majestic animals in their natural environment versus the typical urban/suburban zoo, they would be more apt to become involved in the effort to save them and the habitats necessary for their survival. Almost simultaneously, the founders established a scientific research facility to enable studies of the area's animals, plants, watershed, and other features impacting the landscape. With generous financial support provided by the Rockefeller Archive Center, I was able to pay a research visit to Rockefeller Archive Center from July 20 to September 7, 2018. This was my second visit to the Center, following one in 2008, when the Center granted and financially supported my one-month-long access to its archival resources. This second visit proved to be an important one. This time I took advantage of the fact that the Center now allows archive users to take photographs. As a result, I was able to proceed with my work efficiently and made extensive use of archival material which I missed in my previous visit. 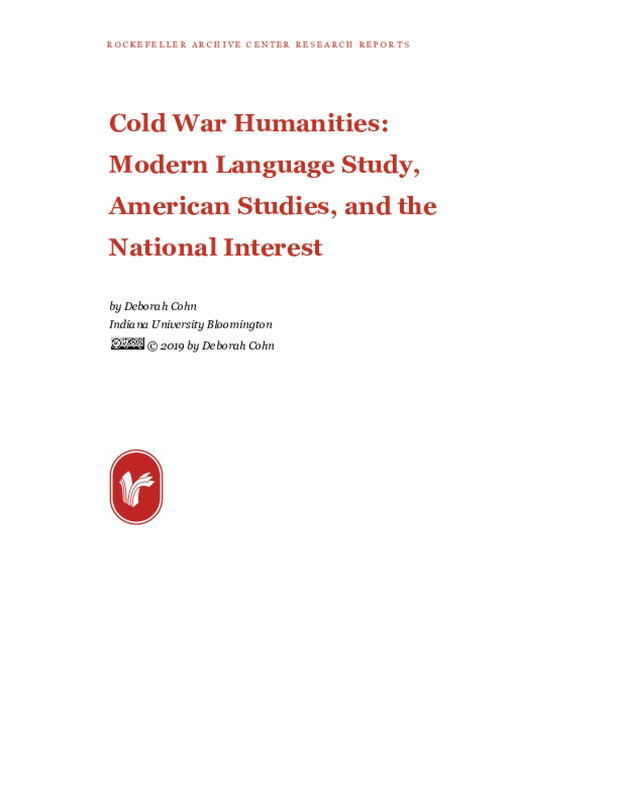 This report presents a description of the important historical materials I have viewed and collected during this visit. 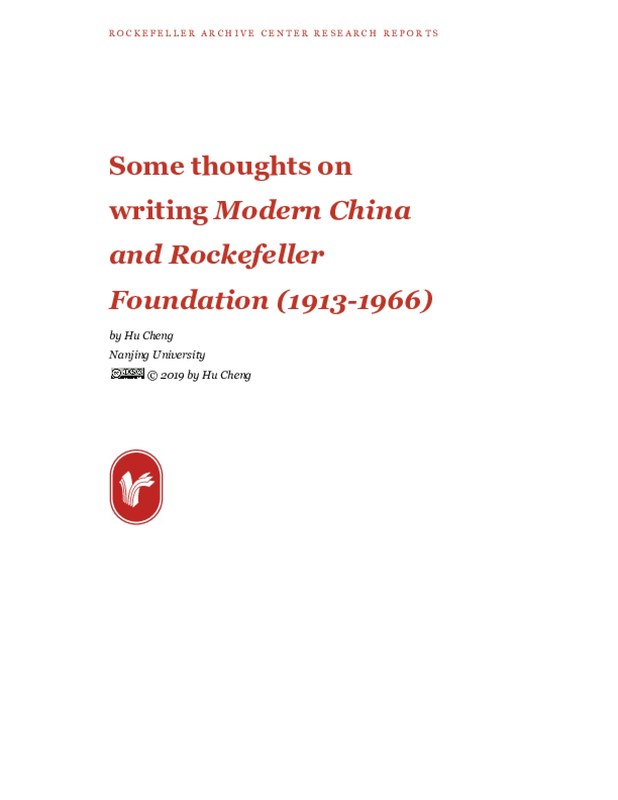 It includes seven subjects in general, described as follows, that together constitute my research project, Modern China and Rockefeller Foundation (1913-1966). The 2017 Nobel Prize in Medicine or Physiology was awarded to three scientists who studied domestic fruit flies—Drosophila melanogaster—in outer space to understand how humans have adapted to life on earth. This adaptation of fruit fly research to the farthest reaches of human experience may not seem surprising, given that they were the first animals ever brought into orbit, and have been used to study so many diverse facets of life on this planet. But how did we and the flies get here?